The problem of stealing intellectual property is older than the copyright itself, as it was created as a remedy for this kind of phenomena. However, it was not until the 21st century that stealing occurs on a massive scale and piracy became an international business generating enormous losses for the authors and gigantic profits for illegal distributors. Although piracy is a modern-day epidemic, its very first instances occurred almost 2000 ago. The term “plagiarism” was already known in ancient Greece, but it was so incidental that for the next centuries no one even tried to establish any legal framework for it. William Shakespeare and Amadeus Mozart suffered losses due to illegal distribution of their works and first regulations concerning the authorship of a work weren’t introduced until the 18th century. The breakthrough in this area was Statute of Anne from 1710, which stipulated that the author has exclusive right to decide about the submission of the work for publication. The subsequent legal acts consolidated the term of the work ownership. On the territory of France, similar solutions were adopted thanks to, among others, Voltaire and Diderot, as part of two acts: Act on Stage adaptations of works of 1791 and Act on Turnover of works and rights to them of 1793. In the United State of America, the author’s privileges were guaranteed in 1790 by the federal act which established protection of books and maps of lands and seas. The legal basis for this was provided by the provisions of the United States Constitution, which “secured for limited Times to Authors and Inventors the exclusive Right to their respective Writings and Discoveries”. Similar provisions were made in other countries in the course of the 19th century. On the initiative of a French writer, Victor Hugo, the ground-breaking Berne Convention for the Protection of Literary and Artistic Works was signed 1886 in Switzerland. It was the first agreement between sovereign countries from all over the world regarding respecting of copyright. As Poland was in the period of partitions, it couldn’t for obvious reasons develop its own legislation regarding these issues. Its inhabitants were under the law of the respective invading country: Prussia, Russia or Austria-Hungary. After the restoration of Poland’s sovereignty, Polish government ratified Berne Convention in 1920, and six years later, Sejm, the lower house of the Polish parliament, enacted the Act on Copyright. This period of copyright law formation didn’t aim at fighting piracy, as it hasn’t existed in the modern-day meaning yet. There was no technical resources to reproduce pieces of work on a mass scale at home. The main purpose of the acts was to protect the artists primarily against unfair competition as well as to regulate relationships between the author and the editor and – after the required technology was developed – broadcast receiving licences. The first magnetic tape sound recorders were presented at Berlin Radio Show in 1935. It was invented by two German cooperating companies: EAG and IG Farben. 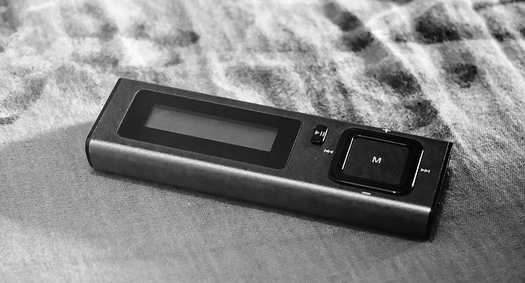 The sound recorded by Magnetophon K1 was of such a poor quality that the device wasn’t good enough to play music. The works on its improvement took the next 4 years. World War II was a time of rapid widespread of tape recorders in Germany and since 1946 in the USA, which overtook after the seizure of Germany the documentation of German companies. The tape recorders enabled recording the sound from the radio and vinyl records. Initially, they were big and unwieldy, just as the tape on their spools. A real revolution came in 1963, when the company Philips invented cassettes. Five years later the first car cassette players appeared and music, freed from the home stereo equipment, became mobile. Ten years later, a similar character had the video revolution, as a Japanese company JVC made VHS tapes available to the masses. Both cassettes and VHS were extremely popular behind the Iron Curtain. The access to the Western, capitalistic culture in such countries as Poland, Rumania or the Soviet Union was limited and cassettes and VHS turned out to be an excellent data carrier which could exist at grey market. On one hand, official nationalized companies rarely decided to purchase expensive abroad licenses for music and films and records brought from the Western countries by e.g. sailors and LOT Polish Airlines employees were real objects of desire. On the other hand, the culture available in the country was highly homogeneous, as official censors decided what content could be published. Not only foreign recordings or amateur translated and published literature works were present at grey market. In the same manner circulated among people books, music and films of dissident Polish authors. The “demand” for Western culture was partially responded by the public radio, which broadcasted in the evenings programmes intended for music livers which presented some entire records. 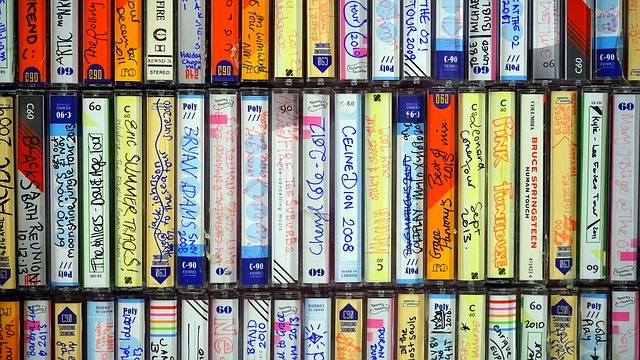 These broadcasts created the opportunity to record music on cassettes. At the same time, the power of VHS cassettes was growing at homes. In the late 1980s, searching for adventures of John Rampo in Polish cinemas was completely pointless, but entire Poland watched his struggle against Soviets in Vietnam and later in Afghanistan using copies of VHS cassettes. The first video rental shops were founded at the time. They offered, often from under the counter, films from all over the world. In the late 80s and early 90s, the first home computers became available. The teenagers of those days dreamt about products of ATARI, ZX Spectrum or Commodore 64 and later – Amiga. The market didn’t keep up with the devices brought from the Western countries again. There was no software shops, so cassettes with pirate software copies were usually bought at car boot computer sells. Then, the buyer had to wait nervously for up to an hour, so that it was written to the computer’s memory, but errors frequently occurred. Again, the radio met needs of the computer users. The former Scout Radio (Rozgłośnia Harcerska) broadcasted on Friday evenings the programme Radiokomputer. Its host, Tomasz Jordan not only talked about the equipment and organized contests for the listeners. He also broadcasted software and video games. The listeners waited excited for this part of the programme, keeping their fingers on the recording keys of their tape recorders. Obtaining software became much easier thanks to floppy discs, which become for many years one of the most important data carrier. In early 90s, the manufactures of home-made audio and VHS tapes developed into the first private publishing houses. No one usually cared about the copyright, so full discographies of foreign authors were released with self-made covers. Sometimes, some additional material was added or – on the contrary- some tracks were skipped, as they would not fit into the tape. Their quality left a lot to be desired, as the music were often copied from other tapes or vinyl records. In the case of the films on VHS cassettes, Polish over-voice was placed over the top of a foreign – and often illegal – copy and then copied again in the real time in a room entwined in cables and full of videocassette recorders and. The cassettes were often sold directly from camp beds, which were unfolded not only at bazaars and car exchange, but even at street corners. The latter attracted the customers with the music displayed from mobile tape recorders. The new products – both music, as well as films – were often saved by the sellers for their regular customers. The customers had to be even put on a waiting list to be able to bay some titles. The enacted in 1994 Act on Copyright and similar rights was an attempt to control the legislation in this new and dynamic reality. At this time, however, we were already in the middle of another revolution – the one related to CDs. The compact disc was invented in the late 70. by concerns Sony and Philips. It had its premiere 1982 and at first it was intended for saving music (it encoded 74 minutes of music in PCM standard). Later, the CD was adapted for storing data (its standard capacity was 650 mb; and later it increased to 700 mb; on the market, there were also available discs with the capacity of 800 mb, and double page CD encoding 1,4 gb). The first album released in the CD-version was a collection of Chopin’s waltz pieces performed by Chilean pianist Claudio Arrau. At first, the access to CD-players was limited and only some well-off music lovers could afford them. But investments of producers and record labels releasing and rereleasing bestselling albums resulted in sharp decrease of the prices and widespread of the silver disc. The popularity of walkmans (which do not appeared until 1979) encouraged Sony record label to introduce in 1984 the first mobile CD-player – Discman. The compact revolution started in Poland at the beginning of 1988. The Wifom record labelreleased the album “Chopin-Tausing-Wieniawski” with recordings of the Chopin’s e-moll piano concert Op 11 and Józef Wieniawski piano concert Op 201 performed by the Symphony Orchestra of the Baltic Philharmonic. However, the widespread of CD in Poland was caused in the first place by sellers from the Eastern neighbour countries. In the mid-90s, full discographies of the greatest artists of the times and rare jazz and classic albums, which were unavailable in official music shops, could be easily found in their vast bag. The albums were both sold in the National Stadium in Warsaw and on the local markets of most Polish towns. The CDs had often texts in Cyrillic alphabet and were real best-sellers, as their prices were much lower than those at the shops. The high cost of original CDs was also one of the causes of the popularity of the of CD rental shops in the 90sm which were often parts of music shops. Instead of buying CDs, you could borrow it for a day for a much lower price or even have a copy in form of a tape prepared by the shop attendant. The later solution was very popular, but it was soon replaced by CD-R discs, which enabled to digitally encode music and date using PCs, which were at the time more and more popular. The era of CD burns set in at the beginning of the 21th Century, although necessary technical solutions had already existed for almost a decade. At first, however, the price was again the main barrier. The first burners in the early 90s cost more than USD 30,000. In the mid-90, its cost decreased to less than USD 1,000 (as a comparison: a blu-ray burner costs nowadays about USD 50). In Poland, it was a quite big sum which considerably increased the price of the computer, which at the time were sold with operating systems installed by the seller and some basic programs, such as text editor and calculation spreadsheet. The additional ones were available (of course after paying) in the shop catalogue. The business was fully lawful at this time, as the mentioned Act on Copyright from 1994 included no provisions relating to software licenses. In 1986, the International Organization for Standardization appointed an international team called Moving Pictures Experts Group (MPEG), which started research on digital picture and sound compression. Its result was the acceptance of the NPEG Layer III coding method created by Prof. Karlheinz Brandenburg as one of standards in music saving. Three years later, MP3 was already a fact. According to the accepted business model, the music encoding devises were supposed to be available only to record labels and huge companies, because of their prices was supposed to be very high. It was predicted that the cheap MP3-players would generate profits. Unfortunately, an Australian student using a stolen Taiwan credit card purchased in 1997 a music encoding application, acquired the codec and uploaded it in the internet for free. In this way, theInternet users gained a tool which allowed them to save music in the format which could be shared via Internet. It was a disaster for music industry. Soon after, in June 1999, the first in the history P2P network enabling sharing MP3-files, Napster, was created. Less than a year later its creators had problems with the law for the first time. In April 2000, the band Metallica sued the website, because it was used to distribute the piece of music “I disappeare”, which had been stolen before its premier. Surprisingly, most of the band fans didn’t support their idols, but backed up Napster and criticized the musician for their greed and attempts to limit the Internet freedom. But the rash of lawsuits commenced. In October 2000, Napster was sued by the biggest record labels and in March 2001, after failing an appeal, it was forced to monitor the service and block the access to the files protected by copyright. It was the end of Napster. The service returned a few years later as a music selling website, but they didn’t manage to win the market, as it had to compete with pirate encounters, which had appeared in the meantime. And here were plenty of them. Programs as Kazaa, DirectConnect, eDonkey, e Mule, AudioGalaxy had no central server. This resulted in a change of anti-piracy strategies. They started focusing on users using P2P and redistributing pieces of files while downloading them. The idea is used until now , the most popular system functioning on this base (both in Poland and internationally) is BitTorrent – popularized, among others, by the well-known file search engine The Pirate Bay. 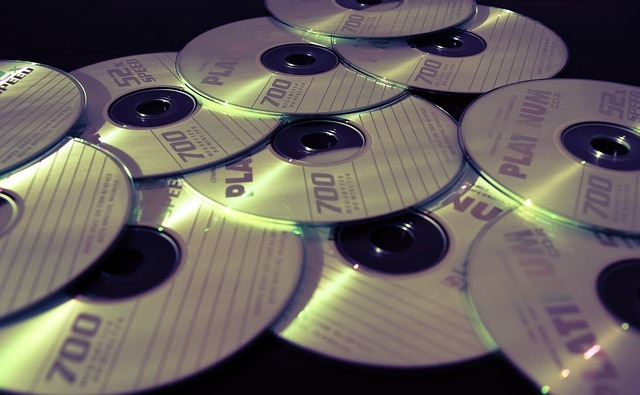 Although the Internet in Poland was still in its infancy, entire discographies of favourite bands could be purchased in form of CDs with popular MP3-files. Once inserted into the computer’s CD drive, the disc often stared along with special prepared decorative menu referring to the style of the listened. A solution equivalent to mp3 in the world of the cinema turned out to be DivX – a method of film packing which allowed saving on an ordinary compact disc 120 minute long films , which quality wasn’t much worse than DVD-Videos. After only few years of official works on encoding images, more advanced forms of compression were developed –from the initial MGEG (VideoCD quality) through the MPEG 2 (SVCD and DVD) to MPEG 4 (Blu-ray). The DivX format was developed in 1998 as a hacked version of the MPEG 4 codec and remains until now one of the most important ones when it comes to the films available online. Designed as a military device and developed as a tool for exchanging experience between universities, the Internet has always seemed as an excellent area for distribution of software, music and films. The only significant problem was its speed. At first, the phenomenon of piracy was a part of the so called demoscene and was perceived as a hacker play which consisted in breaching defences. Specific groups followed their specific rules, which were gathered 1996 in the form of the SPA pact (Software Pirate Association) , which regulated rules regarding releasing of hacker software. Sharing of pirate files with friends was one of the most popular forms of their distribution in the late 90s. The widespread burners and so called external hard drive enclosures, which enabled transferring them (no one could even dream about pen drives at that time) contributed a lot to it. At the same time, thanks to the increased Internet access, the files were shared by means of e-mails and an international network of discussion groups – Usenet. They were encoded in the form of text messages. The pirate files were made accessible on severs secured with login and password http and ftp (often public ones). The information about them appeared in the closed discussion groups and later also on special websites with warez, where pirate groups informed, among others, about cracked programmes and installation methods for the pirate version. Along with this kind of websites appeared earning possibilities related to the number of visitors and advertisements. As soon as the Internet came into being, works on transferring images and sound directly to the end-users started. At first, a few obstacles stand in the way, such as the Internet speed and personal computers performance level. However, the first streaming took place already in mid-90 thanks to an American company RealNetworks, which broadcasted radio transmission of a baseball game between the New York Yankees and the Seattle Mariners over the Internet in 1995 as well as a symphonic concert of The Seattle Symphony with guest appearances of Slash (Guns ‚n Roses), Matt Cameron (Soundgarden), and Barrett Martin (Screaming Trees). Two years later, it announced that it had developed its own technology for transmitting video and at the beginning of the 21st century, it was the major player on the world streaming market. However, the most revolutionising event, which changed the internet, was launching of YouTube. The date 23 April 2005 may be considered as a real breakthrough. At this day, Jawed Karim, one of three YouTube founders, uploaded 19-second long video “Me at the Zoo”, in which he talks about the elephants in the Zoo in San Diego. YouTube created a tool which allowed each Internet user to share their videos. It turned out to be a great success, but it caused the distributors of legal contents new problems. Within a year after its launching, YouTube turned out to be one of the fastest growing Internet websites. A few weeks after its first launching anniversary, in July 2006, 100 million videos were watched daily and 65 thousands were uploaded. The website had on average 20 million visitors monthly. In October 2006, YouTube was bought by Google for USD 1.65 billion. The agreement was made after the YouTube owners had presented compromises with media companies to avoid liabilities resulting from copyright infringement. Record labels and film studios, afflicted by pirates’ activity, refused for a long time streaming as a method of audio and video content distribution, as they were afraid that releasing their own content would increase the existing piracy. The opening to this idea was gradual. At first, they attempted to sell digital music and video files and then new forms of distribution appeared in their catalogues – websites with music and films on demand. The music industry is especially successful in this field is–websites with legal content, such as Spotify, Deezer czy Tidal, which offer access to music catalogues of many million pieces for monthly fee. Although there are many critical voices regarding the wages for the authors, they turned out to be an effective remedy for piracy. As it comes to video content, the situation seems to be much more complicated – territorially limited licences which are completely not adapted to the online reality, are the main obstacle, which make creating large catalogues of legal content in reasonable price impossible for now. The software creators indirectly benefited from the Internet development, as they changed the method of purchasing the licensed software – instead of buying physical data carrier with the license you pay for renewable access. Nevertheless, piracy, which bases above all on streaming nowadays, is still doing fine. First of all, pirates are active on the abovementioned video market. An another victim are television broadcasters – especially those transmitting sports events, but no exclusively. The best evidence that there is still a very long way in front of as is the fact that pirate websites had 141 billion visitors in 2015. Each year about 6,500 films are produced in the world. With regard to the number of films produced, the European Union is second only to India. As the European Commission recognizes the significance of creative industries and their impact on the economy of the European Union, year by year it increases support for the audiovisual sector. The Brussels administration emphasizes the significance of audiovisual works, especially films, for the creation of the European identity. Those works reflect the cultural diversity – the traditions and history – of the countries and regions of the European Union. They are both economic and cultural goods – they contribute to the general welfare and create jobs, as well as mirror and shape societies. For those reasons, in recent years, the European Commission has been significantly increasing its support for the audiovisual sector. The creative sector in the European countries is also receiving greater and greater support on the national level. Countries take care of that because that support is very brings very good results with respect to, among other things, employment, the consciousness of the national heritage, consumers’ interest, economic growth, export, tourism, and the so-called national soft power. What is more, the audiovisual sector provides an impulse for the development of other creative industries: theater, music, publishing, design, and fashion. Almost 60% of the funds spent on film production finds its way to the artistic and creative sectors, as well as to audiovisual production. In the most developed countries the audiovisual production market also influences sectors which offer services to businesses, in particular banks and other financial entities. Moreover, audiovisual production is changing thanks to research and development works conducted with the view to creating new technologies for special effects. The most important European initiative for supporting the branch, including producers, creators of new digital technologies, and festival organizers, is the MEDIA initiative – a part of the “Creative Europe” program of the European Union. At the same time, Brussels is promoting support for audiovisual production in the Member States and in the regions. That contributes to the development of funds and systems which support the branch in many Member States. National and regional authorities notice the important economic role of creative industries in their economies, and offer incentives for the development of audiovisual production, the more so as that sector combines the elements of the creative branch with technological innovations, and contributes to the creation of jobs and to the preservation of cultural identities. • assistance offered in proportion to that part of production costs which has been incurred in the country which offers support – for example, in the form of tax incentives. Since the time of the publication of the first message of the Commission about that matter, in 2001, more and more countries have begun to introduce programs which define the amount of support as a percentage of the expenditures for a production realized in the country which offers help. Because of the automatic mode of operation, those programs make it possible for producers to take into account a predictable amount of financing already at the stage of project planning and development. The European Commission now also admits increased support for international productions. According to the Brussels administration, such help is necessary in the changing market conditions – it will boost the competitiveness of European productions and make them more ‘pan-European’. The Commission pays special attention to the maximum use of the potential and power of film. Audiovisual works will only protect and promote cultural diversity in Europe if the audience watches them. In the case of co-productions involving a few countries, there are greater odds that the film will be distributed across the European Union. That is another argument for supporting international cooperation. At the end of 2014 there were 26 various mechanisms of tax incentives for audiovisual production in 17 European countries, including five such mechanisms in France alone. Seven of those mechanisms have been introduced in the last four years. Only in 2014 new systems of tax incentives for the film industry were introduced in the Netherlands, Lithuania, Macedonia, and Slovakia. Currently, there are serious debates about such incentives in Finland, Norway, and Serbia. • privileged amortization with respect to structures and equipment, only if they are related to film and video production (Hungary). Most of the incentives are limited in some way, for example, as regards their maximum amount. The forms of support can also be divided into investor and producer types. Investor support is given to an investor (a natural person or an enterprise) and makes it possible for that investor to give funds to a production company in a way which is optimal with respect to taxation. For example, in Hungary a national entity can make use of an allowance in the form of a deduction, from the taxation basis and tax due, of 100% of any amount of an investment in a production. A Hungarian investor cannot, however, make a deduction of an amount greater than 70% of his or her tax due; the tax allowance is limited to 25% of direct production costs for a film, incurred in Hungary. Producer support is given to a production or co-production company in a direct (tax deduction, repayable credit) or indirect (transferable credit) form. Such support functions, for example, in the Netherlands – the producer has the possibility of decreasing the budget of a production in the case of services offered in that country. Thanks to the various forms of support for film production offered in particular Member States the number of films produced and the number of jobs in the industry are growing, infrastructure is developed, the contribution of the branch to GDP is increasing, and the country is becoming more competitive on the international film production market. Currently, there are nearly 3,000 local VOD services in the European Union. Their operations are very risky because of technological challenges, piracy, and competition on the part of global players. Two thirds of European Internet users are now watching video content on computers and nearly 60% use mobile devices for it (tablets and smartphones). At the same time we observe that the average age of cinema goers is getting higher and the sales of physical storage devices (Blu-Ray, DVD) are falling. The Internet appears to be the future of film distribution. AVOD (advertising VOD) – a marketing model Users do not pay for viewing but commercials are shown before the film (e.g. TVP.VOD.PL). TVOD (transactional VOD) – users buy or borrow single films, episodes, etc. That is usually the only model in the case of the so-called “currents”, that is, films straight from the cinema (e.g. chili.tv). Many services combine the solutions presented above to offer older titles in the AVOD model and new ones – for a fee or within the framework of a paid subscription. A new phenomenon in that area is that television broadcasters are beginning to offer live access to their channels on the Internet. In order to offer programs to recipients who expect access to content at any time, anywhere requires great investments in technology, as well as marketing actions which would attract the Internet viewers’ attention, make them try the services, and keep them on the site. There is a huge obstacle to that goal in the form of online piracy services which offer access to content without paying license fees and derive most profits from advertising. Those services even offer many cinema productions before their official launch on the Internet. Local VOD services also have global competitors, such as Netflix and Amazon, who sell products directed to a wide audience. On the one hand, the activity of those competitors, generates the effect of increased interest in legally accessible content (the so-called Netflix effect). On the other hand, they are capable of monopolizing a market (for example, Netflix has 75% of the British market). As a result, the profits of local European VOD portals are limited – the more so that the relatively young branch of digital distribution has not, so far, been systemically supported by particular Member States. The importance of such support becomes clear when we consider that the existence of local VOD services is a guarantee of promoting national productions and of preserving the variety of the European cinema as European films comprise 50% of the content of those services. Since 2010 there exists the EuroVoD platform – a network European on-demand video platforms specializing in studio and independent films. The aim of the platform is to exchange know-how so as to increase the international presence of European films. EuroVoD supports cultural diversity and the development of VOD in the 12 countries of the European Union. It reaches over 385 million of European audiences with an offer of 10 thousand films. In its operations the European Commission focuses on international cooperation with regard to the purchase and distribution of films, in this way stimulating national (selling art house films) and international (endorsing valuable productions) markets, and promoting the diversity of the European cinematography. One of the greatest challenges faced by the VOD branch today is the discussion about the introduction, in the European Union, of a uniform digital market. That solution could be dangerous for small, independent distributors but, at the same time, it could be an effective protective measure against illegal VOD platforms. Also tested is the day-and-date distribution, designed so as to significantly shorten the exploitation windows, and even to simultaneous screening in cinemas and on paid VOD platforms. Analysts predict that the SVOD model is the future of digital distribution. It has been estimated that the number of subscribers of services of that type will increase, during the next five years, in Central and Eastern Europe alone, from the current 5.5 million to over 18 million people.